Author’s Note: I have been watching a few period pieces lately. Upstairs, Downstairs. Downton Abbey. Death Comes to Pemberley. 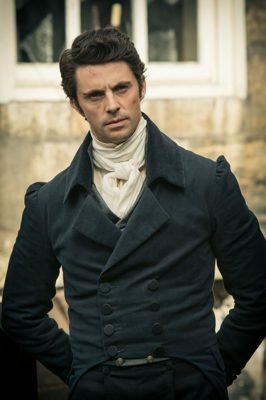 I have decided that if any of my books ever get turned into a movie, Matthew Goode has to play Mr. Darcy. He was George Wickham in Death Comes to Pemberley and Henry Talbot in Downton Abbey. Elizabeth could barely keep her eyes open when the maid came into the bedchamber. It had taken forever for her to fall asleep last night. Even though she had been tired from the long day and the restless nights leading up to her wedding day, she knew exactly why she did not sleep well. That was due to the man sleeping in the room next to hers, her husband. He was her husband in name only because the marriage had not been consummated last night. Even just thinking about it caused Elizabeth to blush. “Would you like me to open the curtains, madam?” Elizabeth blinked and shook her head. She was so tired she was having a hard time getting her eyes to focus straight. “Is Mr. Darcy up?” Maybe he was having a lie in and she could go back to sleep. Though she could not imagine why he would. He had probably slept soundly and had gotten up with the dawn. He seemed like the type of man to not lie about in bed. “He is up, madam.” Elizabeth groaned and pulled the pillow over her head. Would he think bad of her if she asked for a few more hours of sleep? What if everyone was ready to continue on to Pemberley, but they were waiting on her? “She is, madam. She has been asking after you. She is most anxious to go shopping today.” Shopping? Elizabeth groaned again. She felt like all of the Gardiner nieces and nephews had been jumping on her all night. She was sore from traveling, and she was tired from being awake all night worried about her wedding night. She wished Mr. Darcy had taken kindness upon her and just gotten it over with so that she could sleep. She would never be able to sleep well until it was over. And that was an of the other reason why she could not sleep, why did he not claim his husbandly rights last night? She was not the only one that had been exhausted from the day. From what she had seen of the animals in the countryside, the act itself only took a few minutes. It not seem strenuous at all. If his not claiming his husbandly rights did not have to do with him being tired, then why? “Very good, Miss Darcy.” Elizabeth groaned again. She did not want to disappoint her new sister-in-law, but she also did not want to go shopping. Especially with this headache that was brewing behind her eyes. It was her fault for letting her fears get the best of her. She might as well just get up and face the day. “Yes madam, Mr. Darcy has planned to take you and Miss Darcy shopping.” Elizabeth contained her groan and drank the rest of her tea. She was not looking forward to it, but if Mr. Darcy felt that she needed better clothes, she would not defy him. She knew herself that her clothing was not up to the standards of higher society, the kind of people that would call upon the newly married Darcy couple. She sighed and dragged herself out of bed. ——— Mr. Darcy had been attentive all day to Elizabeth. He had been concerned as Elizabeth avoided his eyes with a blush. This was the opposite of her usual behavior, which is what he had expected. He was sure that he had been very magnanimous in leaving Elizabeth alone last night to let her rest and sleep after the day’s travel. However, she had been unusually quiet all day. Georgianna made up for Elizabeth’s unusual silence by talking. That Georgianna was not shy around him, was not new to Mr. Darcy, but that his sister had warmed up to Elizabeth so quickly was. Georgianna talked in the carriage with little comment needed from Elizabeth or Mr. Darcy. After the second shop Mr. Darcy could not tolerate Elizabeth’s unusual behavior any longer. He turned towards her in the carriage. “Elizabeth, are you unwell?” Elizabeth turned to him, her wide eyes evidence of her surprise. “I am well, thank you.” She did not expound upon that observation, which was also unusual. “Pardon me, but I have noticed you have been rather quiet today. I assume it is due to being tired from yesterday?” Elizabeth blushed and looked down at her hands. “I assure you, I am quite well. I am tired though as you smartly ascertained.” She finally met his eyes with a quick smile but turned away to look out the carriage window. Again, Mr. Darcy was uneasy with the fact that his new bride was avoiding his eyes. He continued to stare at her as the carriage moved through the crowded and noisy London traffic. If only his mother was still alive, or he had a close older female relative that Elizabeth could to talk to. Or even for him to talk to as he did not have experience that other men of his age with fortunes did. Mr. Darcy was shy and therefore had little knowledge of women. What had happened to their easy comradeliness before the wedding? Oh, no. Mr. Darcy was sure he had figured out the cause of the uneasiness with Elizabeth. It had something to do with the bedchambers last night. He had been very gallant in allowing his wife to sleep in her own bedchamber in the townhouse, which was new to her, instead of being required to perform her wifely duties after a day’s travel. He had planned to allow her time to get settled in at Pemberley before he claimed his rights. Mr. Darcy did not know exactly what was wrong, but he was sure he at least knew when the problem began. The coach slowed and stopped as they were at their next destination. Mr. Darcy needed to get Elizabeth alone to bring up his thoughts, but that would prove difficult with Georgianna along. Mr. Darcy sighed. He would have to approach Elizabeth after they got back to the townhouse. He was impatient to fix whatever problem existed. He did not want any issues to grow between them. Between unexpected visitors, scandalous secrets, obnoxious in-laws, and Mr. Darcy’s humorous teasing of Elizabeth about cows, their honeymoon never has a dull moment. 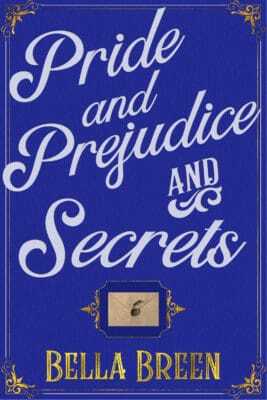 Pride and Prejudice and Secrets is a 58,000 word novel. It can be read as a stand alone. It is a sequel to Pride and Prejudice and Poison. Print length is 364 pages.